With The Legend of Zelda: A Link Between Worlds, Nintendo took a SNES classic and made it completely new again. Yet even though there’s a lot that’s new in the game – new dungeons, a new item system, and more – it also uses A Link to the Past as a base. 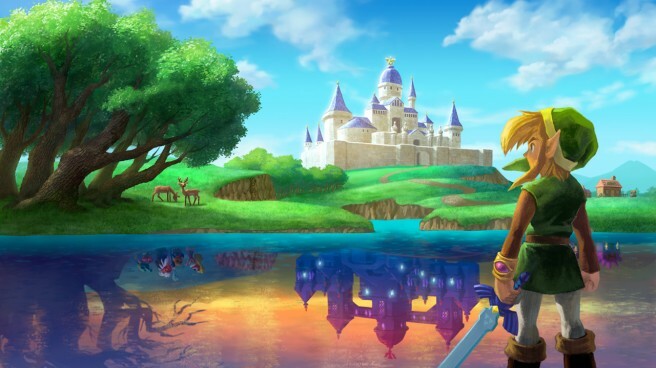 Could A Link Between Worlds set a new standard? What if Nintendo were to return to the core/basic elements of its other franchises and put a new spin on them? It’s an honor that people consider the game to be a success. When we make a game we often start by thinking of the basic system and letting that in turn determine a suitable setting. If there’s something fitting for the basic Star Fox and Metroid formula then I think we’ll be able to develop something. On this title, if we hadn’t come up with the idea of going into the walls at the beginning and instead thought of something new which had the player curling up into a ball, we might have ended up with Metroid, not Zelda.